This versatile necklace is a part of Gucci''s Le Marche des Merveilles collection. 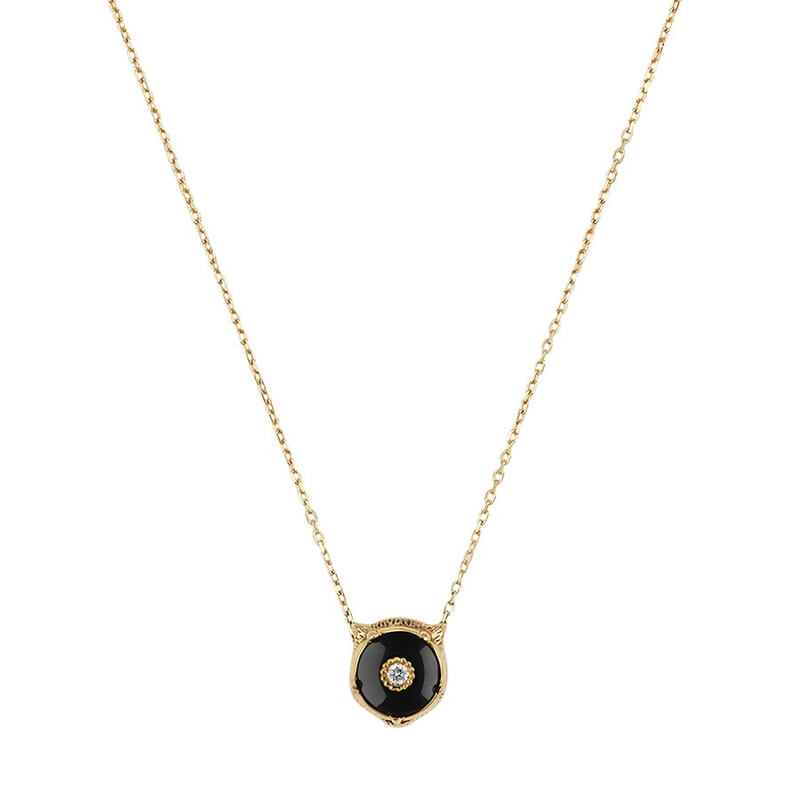 Crafted in 18K yellow gold, it features a feline head with a black onyx and carved flower pattern with diamond at the center on one side, and a cat with diamond set eyes on the other; you decide which element you want to display. The piece adjusts between 15.5" and 17.5" in length and is equipped with a clasp closure. This Gucci necklace is exquisitely crafted and detailed.